Ernst Haeckel (1834–1919) was a German-born biologist, naturalist, evolutionist, artist, philosopher, and doctor who spent his life researching flora and fauna from the highest mountaintops to the deepest ocean. 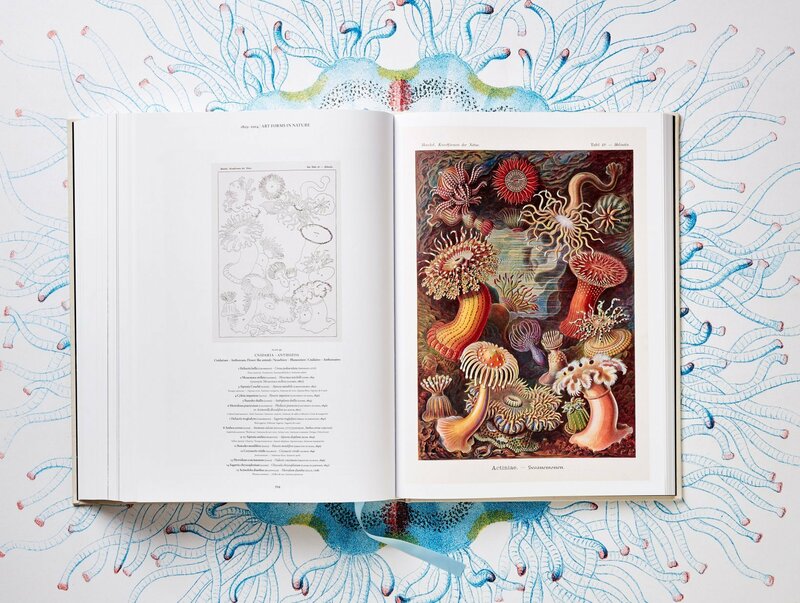 A vociferous supporter and developer of Darwin’s theories of evolution, he denounced religious dogma, authored philosophical treatises, gained a doctorate in zoology, and coined scientific terms which have passed into common usage, including ecology, phylum, and stem cell. 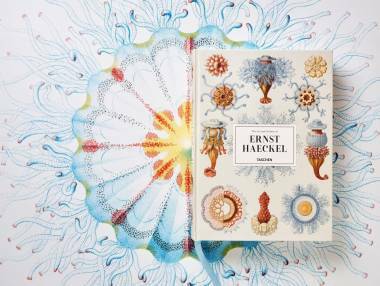 At the heart of Haeckel’s colossal legacy was the motivation not only to discover but also to explain. To do this, he created hundreds of detailed drawings, watercolors, and sketches of his findings which he published in successive volumes, including several marine organism collections and the majestic Kunstformen der Natur (Art Forms in Nature), which could serve as the cornerstone of Haeckel’s entire life project. 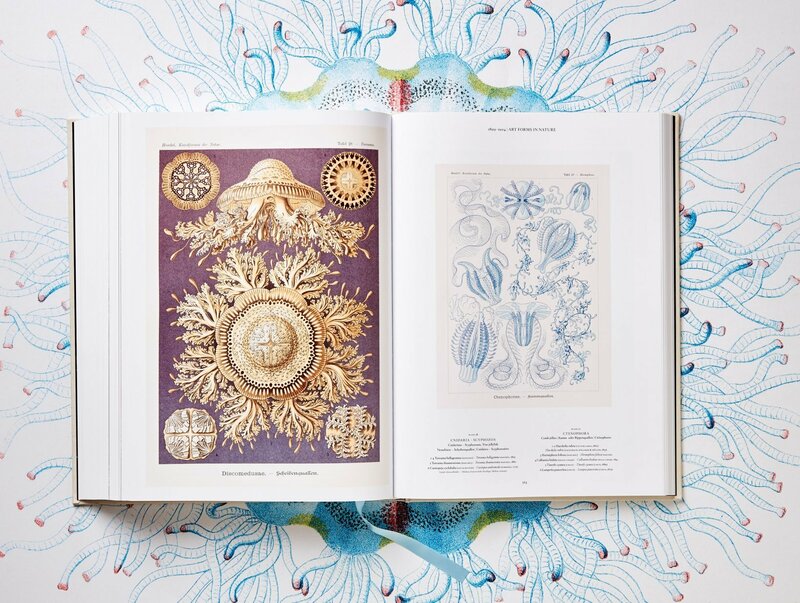 Like a meticulous visual encyclopedia of living things, Haeckel’s work was as remarkable for its graphic precision and meticulous shading as for its understanding of organic evolution. From bats to the box jellyfish, lizards to lichen, and spider legs to sea anemones, Haeckel emphasized the essential symmetries and order of nature, and found biological beauty in even the most unlikely of creatures. 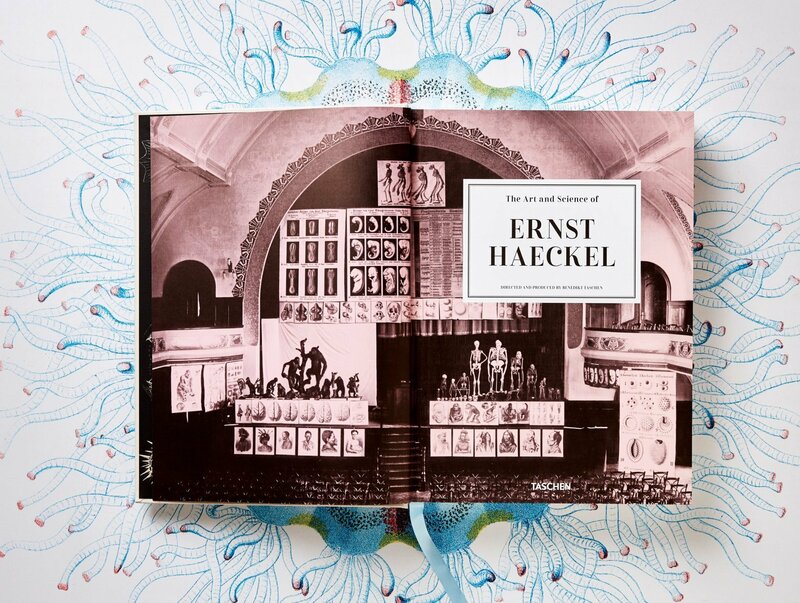 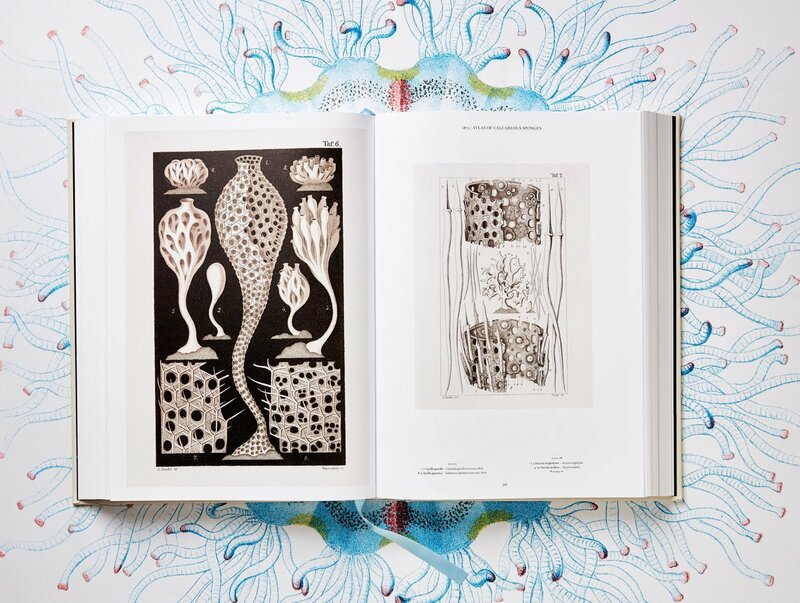 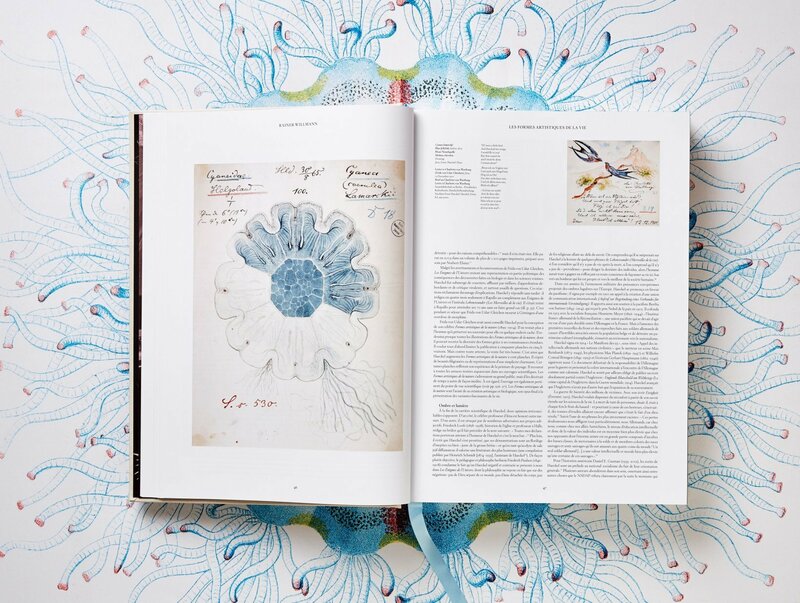 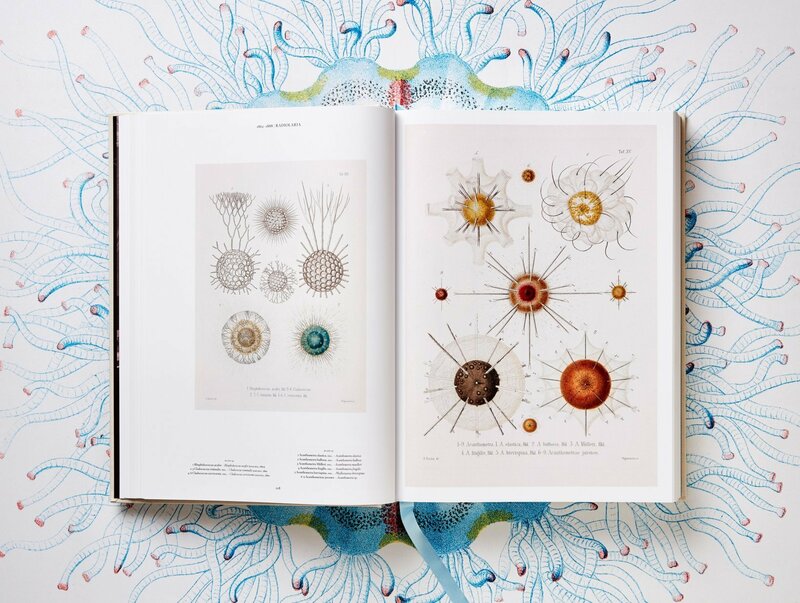 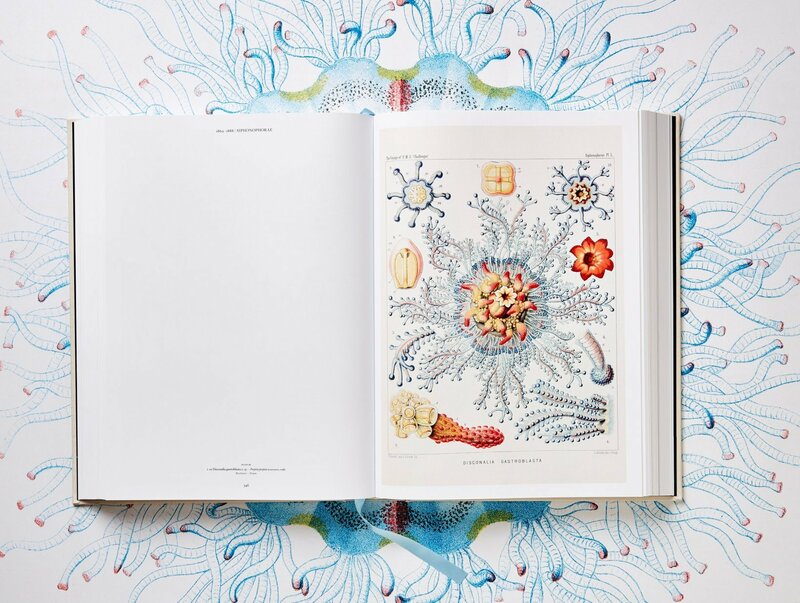 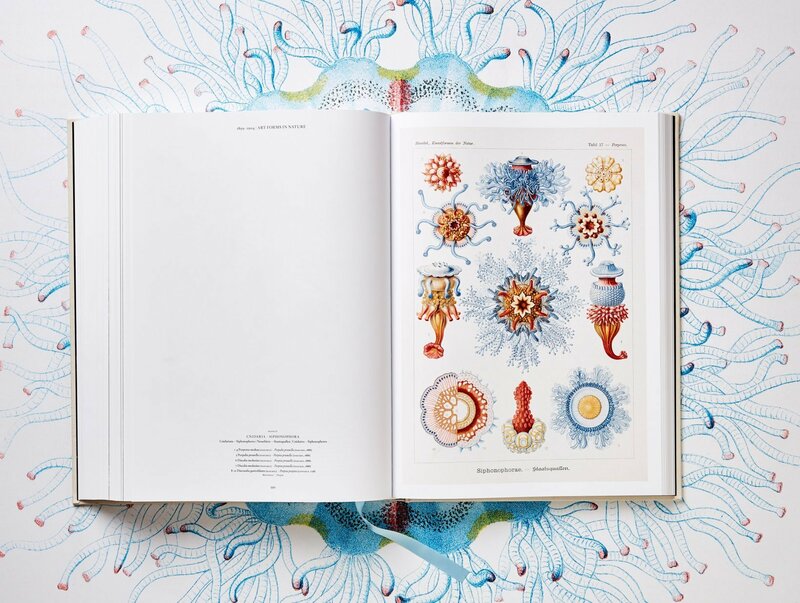 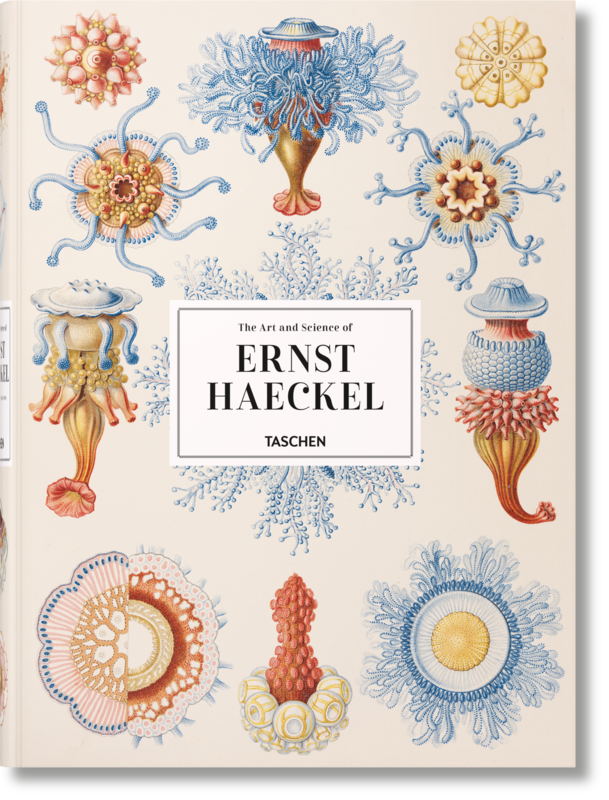 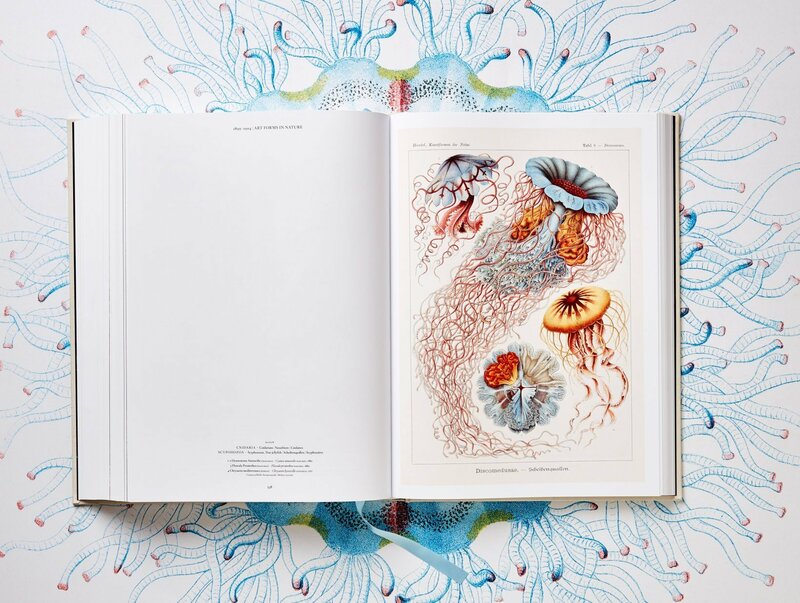 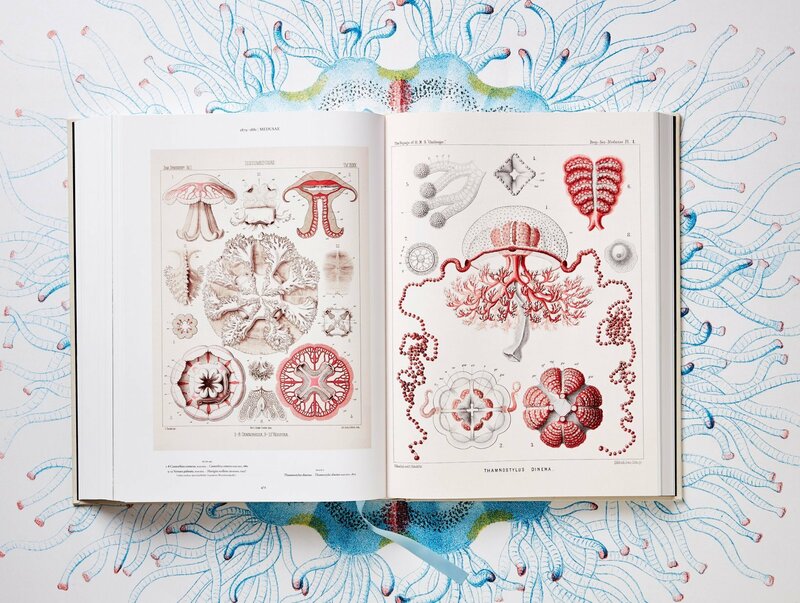 In this book, we celebrate the scientific, artistic, and environmental importance of Haeckel’s work, with a collection of 450 of his finest prints from several of his most important tomes, including Die Radiolarien, Monographie der Medusen, Die Kalkschwämme, and Kunstformen der Natur. 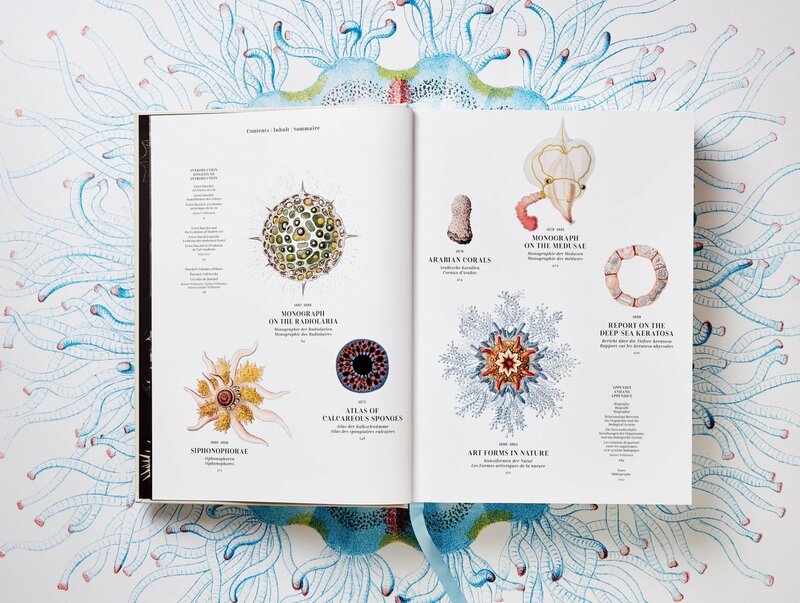 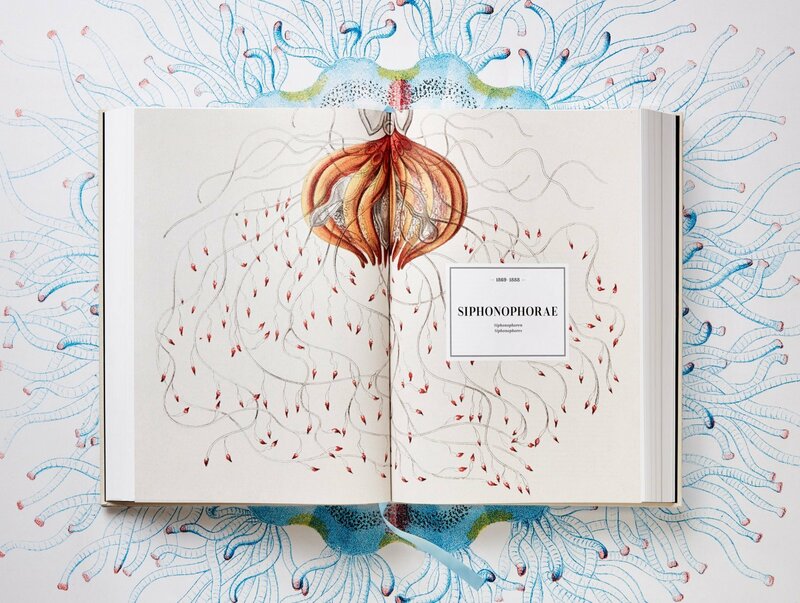 At a time when biodiversity is increasingly threatened by human activities, the book is at once a visual masterwork, an underwater exploration, and a vivid reminder of the precious variety of life.